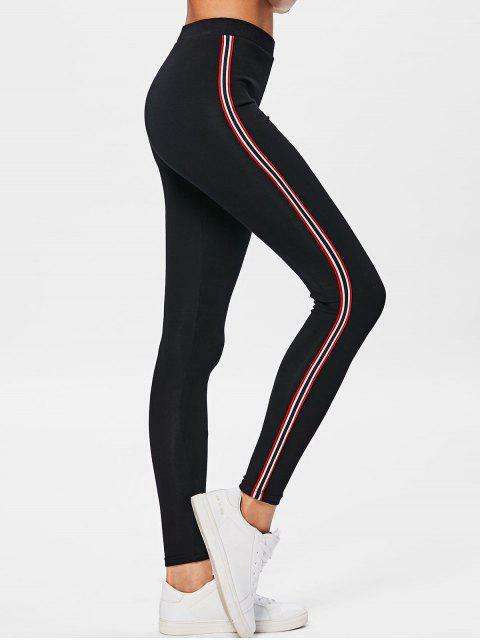 [35% OFF] 2019 Side Stripe Workout Pants In BLACK | ZAFUL ..
Talla/Size M. Mis medidas: 1.65m, 65cmcintura, 95 busto. Peso: 60kg. Tela delgada, el color está un poco faded. La talla queda bien, la tela estira bastante. Super cute pants! I received so many complements when I wore them. The pants themselves are stretchy and fitted, kind of like regular leggings but much thicker. The only thing I am worried about is the stretchy waist band curling up in the wash but that has not happened yet. Overall would recommend! SUPER impressed by the quality of these pants! Seriously blown away!! A little see through but not bad!